Festivals in Europe are a dime a dozen these days. 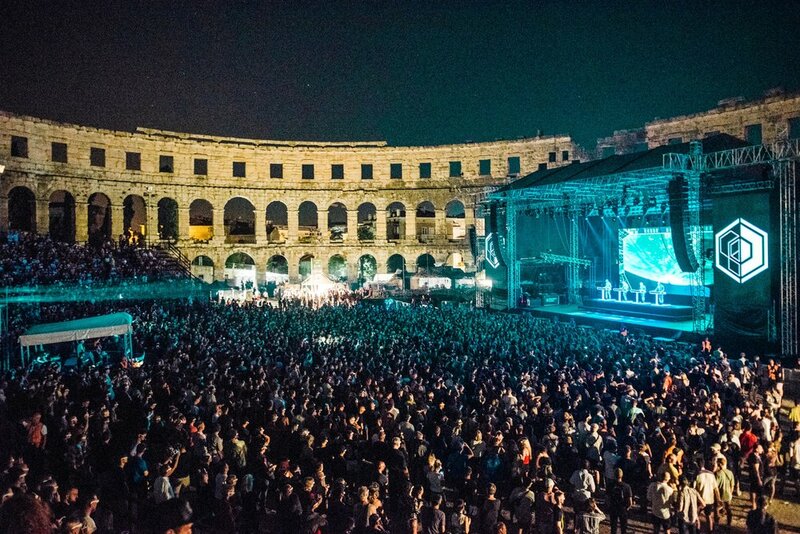 That being said, Dimensions 2018 was worth a lot more than that, and continues to hold its own thanks to its breathtaking location at Pula’s Forta Punto Christo, hands-on organisation by its staff and the loyalty of its frequenting fans. And why wouldn’t they be loyal? Six years in, the five-day-festival continues in supplying festival-goers with a star studded lineup that has something for every mood. 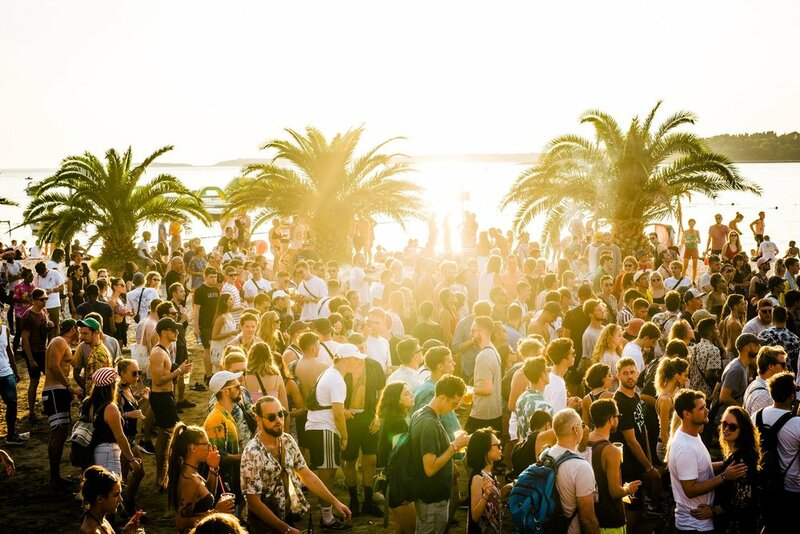 Taking place on Croatia’s scenic northern shores, the festival floods the air with a mix of jazz, funk, soul, afro-beat and more at its shoreside stage – situated in an idyllic setting overlooking a crystal blue coastline – during the day. And at night, the festival calls revellers to arms inside of a fortress that hosts an array of interesting and unique set locations that all boast well orchestrated and thought out sound. Happy to be out of my sleepy Italian town where I am based, didn’t perhaps make the most of the day side of the festival, but from you can hear elsewhere, many others did. So instead, I’ll write about what I know. And what I know now is that Dimensions is able curate a lineup that just doesn’t quit. Big hits like The Man-Machine, Radioactivity, Numbers and Tour de France are an obvious given whenever Kraftwerk are going to take to the stage. What isn’t is a surreal and spectacular light show, something which you may expect but cannot experience without being there firsthand. In person, this was an enchanting affair. 3D glasses adorned en masse, glowing shapes, musical notes and spaceships drifting over the crowd – Kraftwerk’s set locked viewers in a trance, completely taking them out of Pula’s ancient amphitheatre and into their own world. Thousands stood transfixed, surrendering to the electronic gods in an almost church like silence. One of the few sets I caught at the Moat (c.b.a. for the queuing times – unique to this stage), her dark, intense sets are a must on any night out. 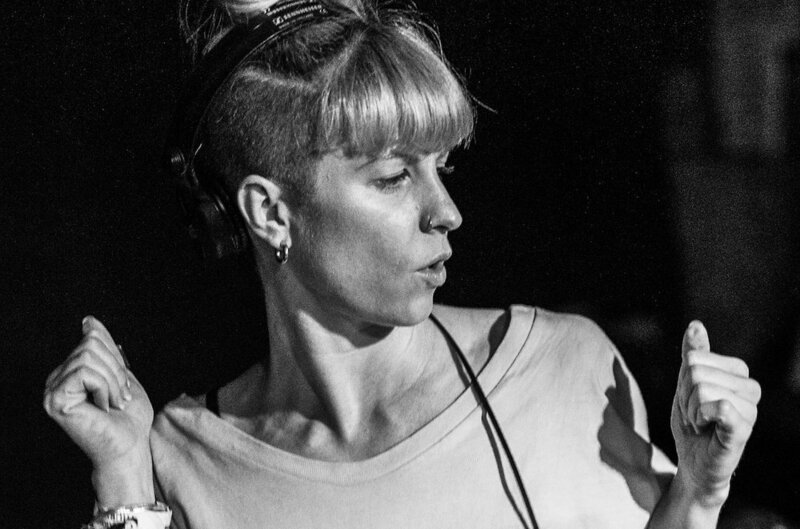 Electro-heavy, Hauff manages to bend techno to her will every time she' plays in front of the crowd. Known for her louder, more raw and strident sound, she didn’t disappoint. Has anyone ever said anything bad about this man? If he’s not picking out tunes from a distant show from your childhood, he’s covering sounds across the world with perfect flair. I got to see him for his four-hour set, and couldn’t be taken anywhere else. Shout out for throwing in The Joubert Singers Stand On The Word, and making the entire experience a holy, therapeutic affair. Worthy of (more) then a mention, Detroit legend DJ Stingray followed Hunee and carried us through until the early morn. It was nights like this which makes Dimensions one to visit. Techno, techno, techno. Volvox took to the centre stage the Clearing to pound us with a relentless amount of abrasive but delicious sound. This stage was all about the festival vibes, and although sometimes played by sound issues due to its size, had some of the most complementary lighting on offer at the entire festival. Volvox capitalised on everything this stage had to offer and made my first time watching her one to remember. Mentioned heavily in my Dimensions Digest, I was overly eager to witness these legends on stage – perhaps more so then any other act (no bias to be found here). Their smaller-than-expected crowd was due to the fact they were going toe-to-toe with Peggy Gou at the time, but this only made it more of an intimate affair, which just made my experience all the better. Darting between psychedelic funk and crazy samba (a genre they created) the goodwill vibes and various musical hits meant that the artists were able to engage and uplift the crowd beautifully. Many friends were made. Dias D and, of course, Estrelar, both sent the crowd back into a sexier time, and what a time it was. Overall, Dimensions 2018 further cemented its position as one of the most enjoyable festivals on the continent. Hindered by a few storms here and there, the staff were quick to act and ensure that the vibes didn’t stop for any meaningful amount of time, keeping the fire burning at just the right temperature. My only critique was the distinct lack of Croatian DJs, but this just meant that further down the road there were more after parties with local DJs to experience and keep this party going 24/7. If I was you, I’d line up my 2019 in style and get onboard with Dimensions now.